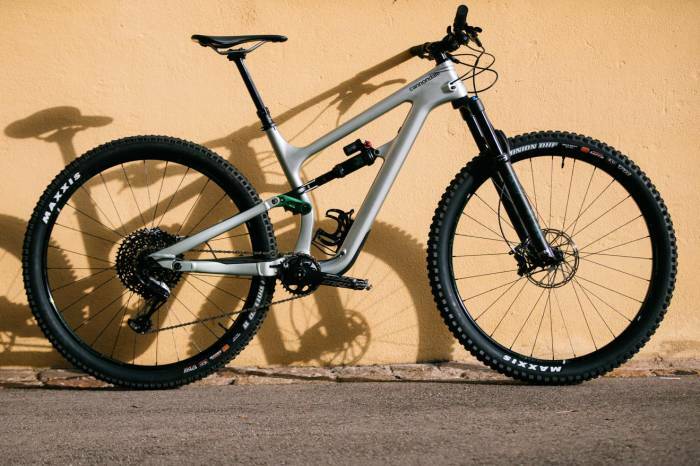 Cannondale first brought you the Habit and Bad Habit mountain bikes back in 2015. And if those didn’t grab you, the brand will launch a new Habit in 2019 that may finally hook you. The big story for Cannondale will be “proportional response.” Basically, this means size-specific engineering, making ride dynamics across all bike sizes consistent and optimized. The Cannondale Habit, just announced this morning, is a fully-loaded, modern trail bike. 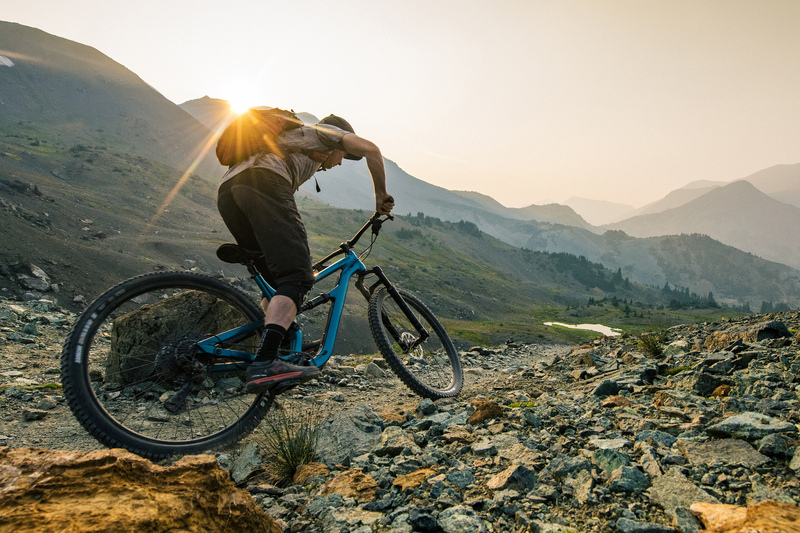 Cannondale set it up to inspire fun and confidence. It comes with 29-inch wheels on wide rims, has the “flip-chip” for 27+ compatibility, and offers a short stem, wide bars, dropper post, and water bottle compatibility. Meanwhile “slack and capable geometry” — a steep seat tube angle and 66-degree head tube angle — and 130 mm of suspension travel should combine for a smooth ride and efficient pedaling. You also get Maxxis tires and Fox shocks across all Habit models. 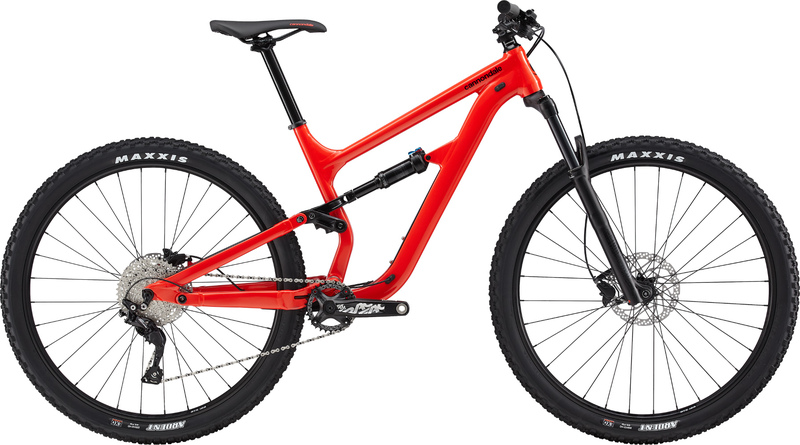 But, as the brand noted in a press release, “the heart of the new Habit’s trail performance is an all-new suspension philosophy called Proportional Response.” In short, each Habit offers size-specific kinematics, meaning the bike optimizes pedaling efficiency, bump absorption, and braking performance regardless of rider and bike size. Cannondale’s new Proportional Response philosophy is a fancy way of saying it tailors each size of the new Habit to provide the same handling characteristics as all the other sizes of the bike. In order to accomplish this, Cannondale changed things like tube dimensions, fork offsets, and headtube bearing sizes on each frame size. A rider’s center of gravity influences suspension performance, and riders of different sizes and weights have varying centers of gravity. 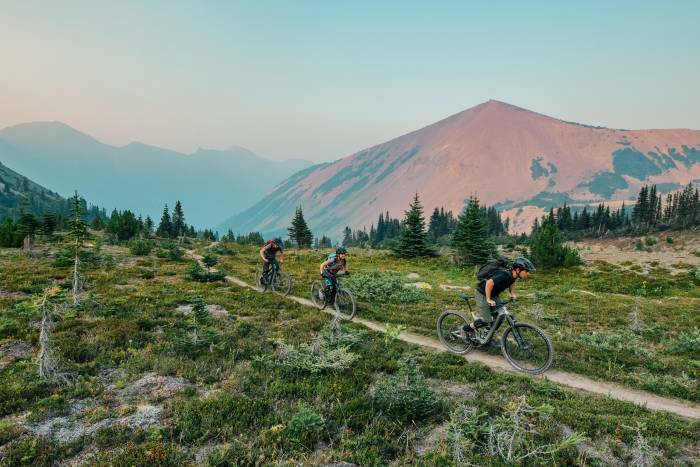 With the 2019 Habit and Bad Habit, Cannondale strives to adjust the kinematics of each size bike in order to make sure every rider gets optimal performance. You can get your hands on the all-new 2019 Cannondale Habit today. The top-spec Carbon 1 model is the one exception — it won’t be available until early 2019. You can order a Habit in carbon, carbon/alloy blend, and alloy models. Both women’s and men’s sizes are available, ranging from XS-XL. As with most quality mountain bikes these days, the Cannondale Habit offers a wide range of component and material specifications. So the bikes’ pricing mirrors that range. It starts at $2,100 for a basic-spec aluminum Habit and goes up to the top-spec, full-carbon Habit at $7,900. 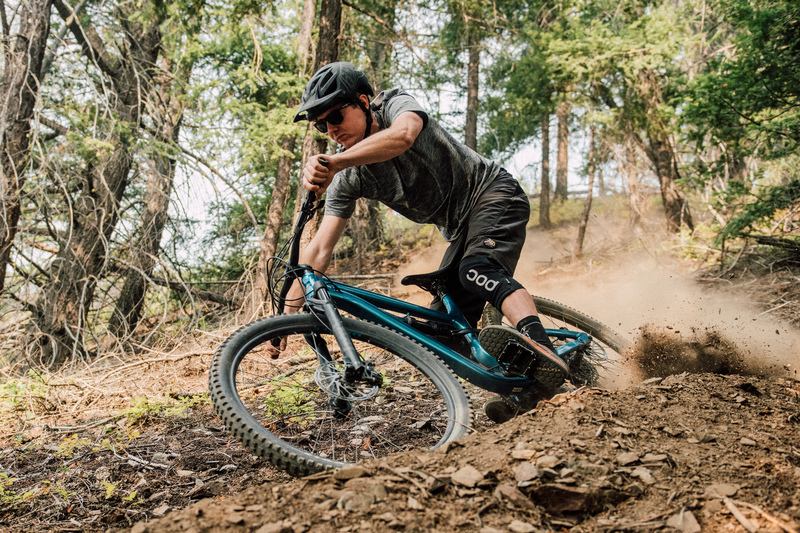 Also redesigned for 2019, the Cannondale Bad Habit is for those riders that “want the crazy traction of 27.5+ tires,” according to the brand. 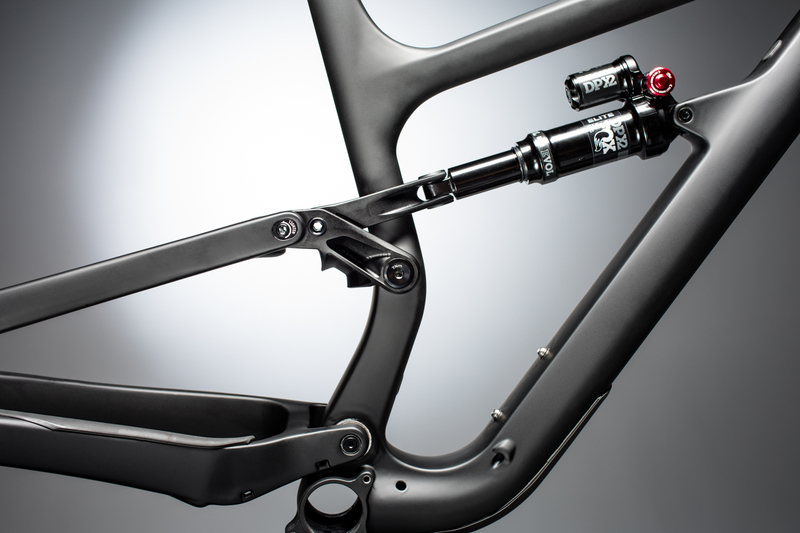 The Bad Habit offers 140 mm of suspension travel up front and 130 mm in the rear. The bike will come in both carbon and alloy models. Depending on specs and components, it will range from $2,700 to $10,200. And despite its name, the Bad Habit also utilizes all the good tech of Cannondale’s Proportional Response.